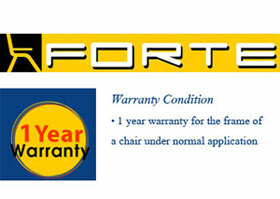 Asahi / FORTE office chair is the product of S.Chuchai Furnishing Co.,Ltd. Thai company which has more than 40-year experiences in office furniture designing and manufacturing.High quality product is our company's policy. 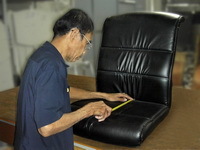 All parts are made from standard quality materials,and manufactured by our well-trained technicians in order that the office chair will be beautiful,reliable, and suitable for user's requirements. 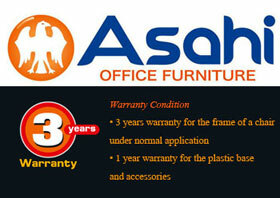 S.Chuchai Furnishing Co.,Ltd. has the intention to improve the organization continuously. So we regularly involve in both private sector and government's projects.At present , we are members of Thai Furniture Industry Club-The Federation of Thai Industries , Thailand Productivity Institute and Department Of Export Promotion. Additionally, we often join in the projects held by Department of Industrial Promotion in order to improve the efficiency of our company continuously.